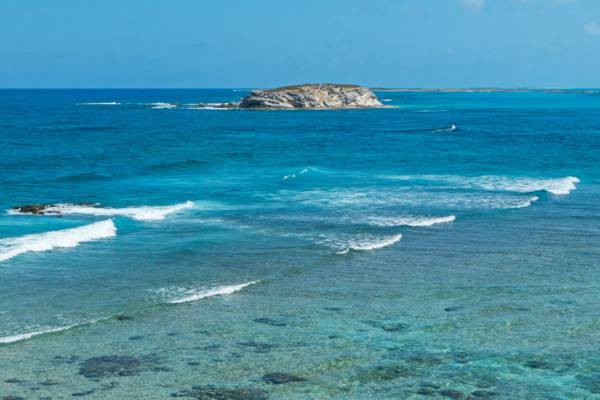 Found 1.2 miles (1.9km) east of Grand Turk and .3 miles (530m) southeast of link, Round Cay is a very small island at only 250 (75 meters) feet across. The terrain of the island consists of sea oats and hard sandy bluffs, with a few small sections of low limestone coastal cliffs. Excellent snorkeling is found around Round Cay, but very few visit the island. The rotund cay is found not far off Gibbs Cay.